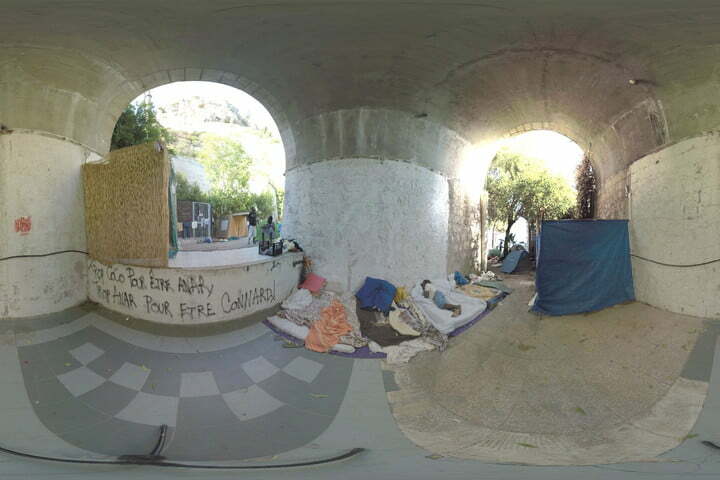 Statelessness and identity: A virtual reality experience. When Leal’s father was born in Lebanon, her grandfather never registered his birth. Leal herself was born in Lebanon but is undocumented because her father wasn’t able to register the birth of any of his children. Lebanon is one of 27 countries that practices discriminatory nationality laws, according to a 2014 UNHCR report. The nationality law of Lebanon allows only Lebanese fathers to confer their nationality to their children in all circumstances; women cannot confer citizenship to their daughters. Leal is considered “stateless” according to the UN definition. The term ‘stateless person’ refers to someone who is not considered a national by any country under the operation of its law. There are a number of reason individuals become stateless – perhaps they were displaced after a conflict or belong to an ethnic group that was never recognized by a nation as citizens of the country. Today there are at least 10 million people worldwide who are stateless. Because such individuals are denied a legal identity, they aren’t afforded the same basic human rights we enjoy. Often they are denied access to housing, education, marriage certificates, health care, and job opportunities during their lives and confer the stateless status to their children. Most of these individuals lose their nationality by no fault of their own. Statelessness is a product of a world that is increasingly defined by political boundaries and identities. It’s also a product of loose migration laws in regions like Europe, where migrants leave home and then find that they cannot return. Individuals who are stateless often have a difficult time seeking asylum in other countries even though the loss of legal identity isn’t their fault. Another theme that emerged from our research was the role that discrimination plays in producing stateless populations. As mentioned above, many countries discriminate against women in nationality laws. There are also a number of groups denied citizenship due to ethnic or religious discrimination. For instance, over 1 million of the Muslim Rohingya people in Myanmar do not have citizenship due to religious discrimination against Muslims. In the Dominican Republic, new laws have stripped up to 200,00 Haitian immigrants and their descendants of Dominican citizenship – even going so far as to deport thousands of people. Ruta and I interested in understanding how such stateless individuals navigate a world in which they might possess overlapping ethnic/religious/national identities but lack a legal identity. The feeling most often described by these individuals is that of invisibility. With this project, we’re aiming to give voice to an individual (or group of individuals) who are unclaimed by a state government. 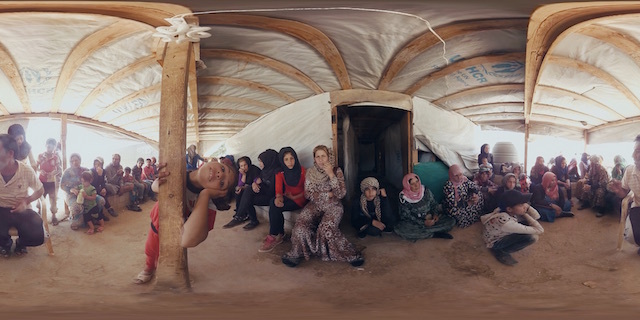 The project is a virtual reality film that explores narratives of statelessness and displacement. The idea is to find a compelling personal story and pair it with stunning visuals that match the content of the story. We want the narrative itself to drive the tenor and the mood of the film. In terms of audience participation, Ruta and I felt more drawn to a heavily curated experience in which the audience hears the audio of a story and explores places that appear in the narrative. We think the best user experience will be one in which the narrative is somewhat more controlled rather than exploratory. We want to maintain an emotional, personal tone to the piece. Audio will obviously play a huge role in the realization of this project, so we want to make sure the recording we use is itself a character in the film. Right now Ruta and I are reaching out to people we know who are experts in the field of human rights law, refugees, and migration. We’re hoping to make connections with people who are advocating for stateless individuals and find the right story or individual to drive this piece. Devon C. – Works for the UNHCR to resettle refugees in the Middle East and has been an advocate for refugees in the current Syrian refugee crisis (see her recent Foreign Policy piece). Estee W. – A student at UPenn law studying discriminatory employment laws in Arab countries. Studied women’s employment laws in Jordan on a Fulbright scholarship. Next Next post: Project update: Text-based game powered by machine learning.